Need an expert take on a hot topic? Meet our education experts. Since Hofstra's founding in 1935, studies in education have been considered a cornerstone of the University. Hofstra University's School of Education is dedicated to preparing outstanding professionals to serve in 21st century schools, community centers and universities. As the educational landscape has changed over the decades, the School of Education has not only remained current, but in many instances been the impetus for changes in curriculum, policy and applications of technology. Our distinguished faculty invite you to explore the broad range of programs which are offered at the bachelor's, master's, advanced certificate and doctoral levels. 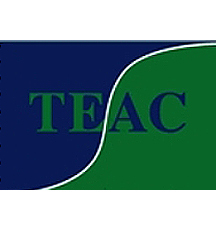 The teacher education and educational leadership programs of the School of Education are fully accredited by the Teacher Education Accreditation Council (TEAC). State-of-the-art facilities in the School's main building, Hagedorn Hall (view the Flickr album) including the STEM Studio. The Office of Field Placement, which is responsible for accepting and evaluating requests for field observations, clinical experiences, and student teaching. The Office of Educational Support Services serves as a resource for students, faculty and staff regarding certification information related to Hofstra University’s New York State approved teacher, administrative and pupil personnel preparation programs. 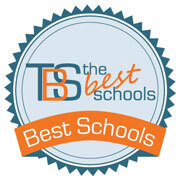 Undergraduate and graduate paid internships in K-12 schools that extend and enhance the student teaching experience. A year-round schedule of seminars and professional development workshops presented by the Office of Professional Development Services. The Joan and Arnold Saltzman Community Services Center, a multidisciplinary facility at Hofstra that provides low-cost, cutting-edge therapies to the public and unique research and training opportunities to students.